The age of Millennials is slowly starting to take over. With that being said, by 2030, over 50% of the population will be generation ‘Millennial’! This generation is much different than those of prior generations. Millennials won’t settle for the first job that comes our way. They don’t want to live the 9-5 life with a 40-year pension and retirement package because they know that isn’t the way the world works anymore. After the recession, we’ve learned that we can’t rely on a company to take us through our life; we have to rely on ourselves. But how do we know what to do? To start building your career, use these 5 tips as a guide in finding the perfect career. Writing down what you want to accomplish, what you like to do, or even what you are thinking of in that moment is the best way to start pinpointing a career you would be both interested in and good at. A goal could be anything from owning your own boutique business to traveling the world. You could want to the president of a multi-billion dollar corporation or make sandwiches all day. Whatever it is, write it down and see what you have to do to make that goal a reality. Whether you’re still in school, just graduated, or looking for a new job, taking an internship or volunteering at a company you think you want to work at is the perfect way to save yourself a lot of job hopping. Not many people know what they want to do when they grow up, so we force our way into a job somewhere for money and end of hopping around until we’re happy. Some of us don't even get to that "happy point"! If you involve yourself in different careers for short opportunities, you can figure out if you actually like that line of work and save yourself a lot of time in the future! Your resume is sometimes the only thing that defines who you are, which is why it is so important! A resume that highlights your skills and your goals is what will make you stand out. Using bullet points with keywords to highlight your skills draws attention to you. Don’t be afraid to let them know your accomplishments. Make sure to update it regularly with your internships, volunteer work, online classes and more! Online social networks tend to keep us hidden behind our phones or tablets and not interacting with the world around us. Going to networking events in your field of choice or finding meetup groups with similar interests to yours are the best ways to make a real connection. 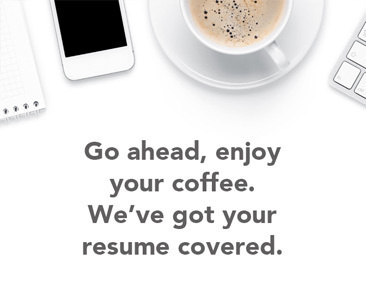 If you don’t want your resume to be the only thing a hiring manager sees, go out and make them see you, meet you, talk to you, shake your hand, and connect face to face. Since social networking and the internet are here to stay, you have to embrace it as if it were a personal face to face connection. Make sure you have a similar cross-branding of yourself on different networking platforms such as LinkedIn, Facebook, Twitter, CareerBuilder and so many more. Hiring managers will search your name and your profiles. Update these platforms regularly and be sure to clean it up, keep them about your career, and highlight your career choices such as posting your art portfolio or articles in your field of choice. You are your own brand, and how you sell yourself can make or break further career development! Writing a resume is a lot of work. At the end of the day, that piece of paper is what defines every.. Starting an amazing career in corporate America is a huge step forward to your goals, but you don’t..
Resumes can be high stress and take up a lot of your time in preparation. How do you know what to s.. Interviews are stressful, unpredictable, and nerve-racking. You could be thrown into a panel interv..